CSIRO has commenced the search for the next generation of high-performance computer to replace their current Bragg accelerator cluster. In addition to being a key partner and investor in Australia’s national peak computing facilities, the science agency is a global leader in scientific computing and an early pioneer of graphics processing unit-accelerated computing in Australia. Bragg debuted in the Top500 list of supercomputers in the world in 2012 at number 156, then in 2014 it achieved number 7 on the Green500 – a ranking of the performance to energy efficiency of the world’s supercomputers. Bragg’s replacement will be capable of ‘petaflop’ speeds, significantly exceeding the existing computer’s performance. It will boost CSIRO’s already impressive high-performance computing (HPC) capability and is expected to rank highly on the Green500. CSIRO’s acting Deputy Chief Information Officer, Scientific Computing Angus Macoustra said this replacement computer would be essential to maintaining CSIRO’s ability to solve many of the most important emerging science problems. “It’s an integral part of our strategy working alongside national peak computing facilities to build Australian HPC capacity to accelerate great science and innovation,” Mr Macoustra said. 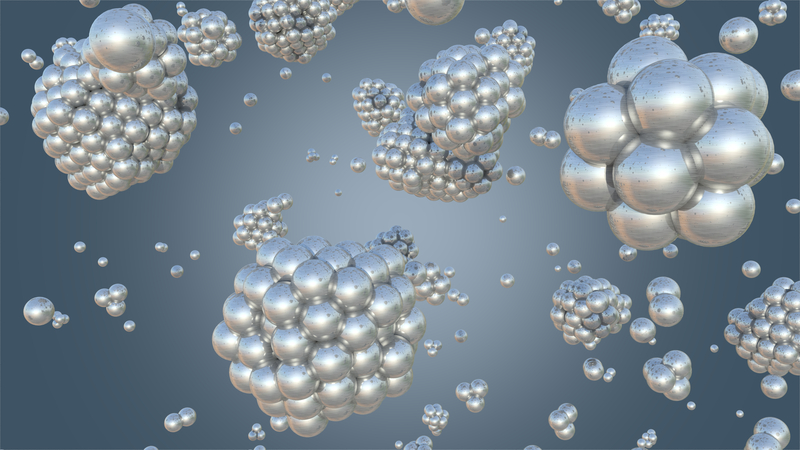 The cluster will power a new generation of ground-breaking scientific research, including data analysis, modelling, and simulation in a variety of science domains, such as biophysics, material science, molecular modelling, marine science, geochemical modelling, computational fluid dynamics, and more recently, artificial intelligence and data analytics using deep learning. The tender for the new machine is calling for a ‘heterogeneous’ system combining traditional central processing units with coprocessors to accelerate both the machine’s performance and energy efficiency. The successful bidder will be asked to deliver and support the system for three years within a $4m proposed budget. The tender process is currently open for submission at AusTender, and will close on Monday 19 December 2016. The winning system is expected to be up and running during the first half of 2017. CSIRO is on the search for a next-generation computer. 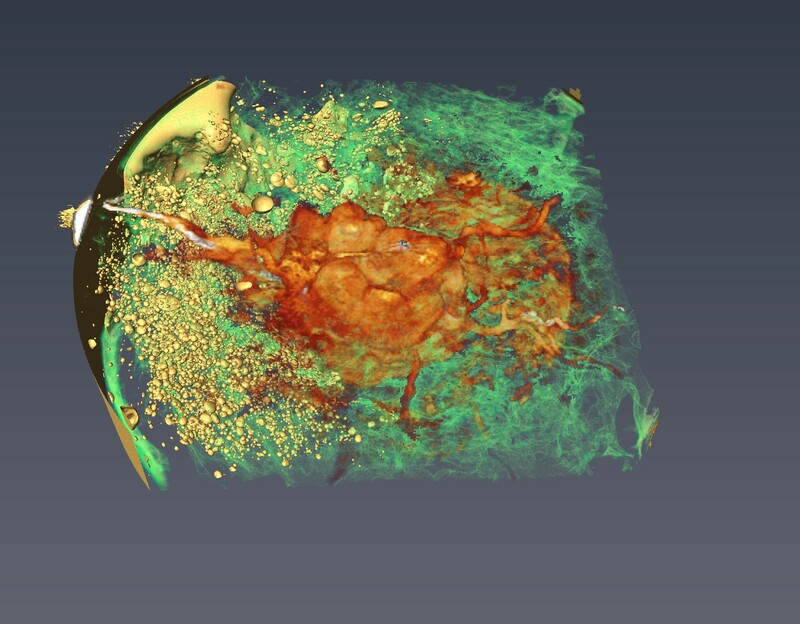 Dr Sherry Mayo (CSIRO) created this image from a 3D CT Reconstruction of an excised human breast containing a tumour (the red part). It was imaged at the Imaging and Medical Beamline (IMBL) at the Australian Synchrotron in March 2016. 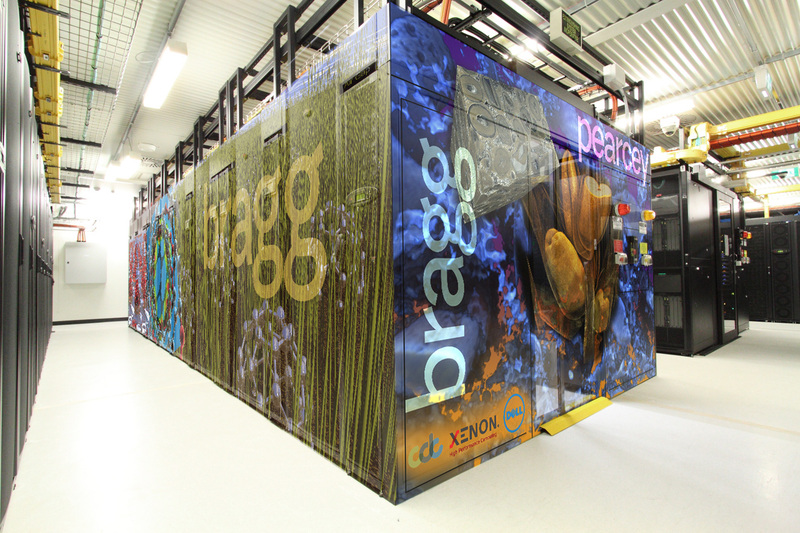 The reconstruction was performed using CSIRO’s X-TRACT software, which runs on GPUs and has been deployed on our internal GPU cluster Bragg, partner systems such as MASSIVE (co-located with the Synchrotron), and to other Light Sources internationally.